We made Candy Sushi for a family night treat! 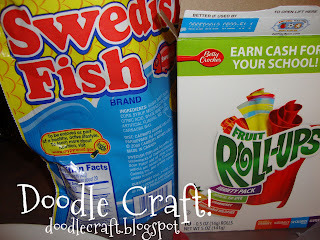 Start with swedish fish, fruit roll-ups and rice crispy treats! 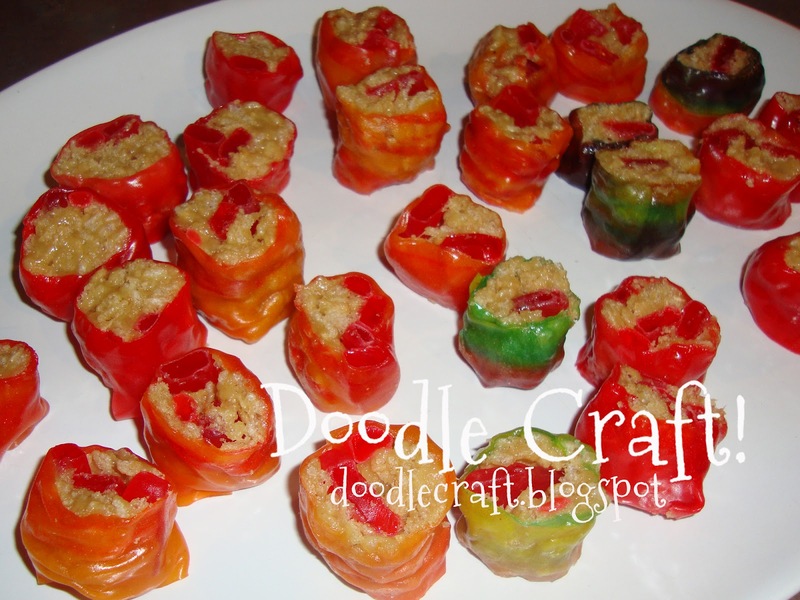 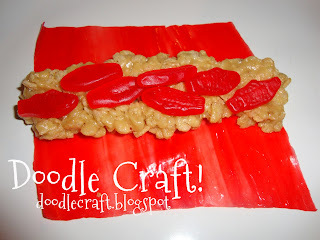 Place a "log" of rice crispy treats on the fruit roll up. 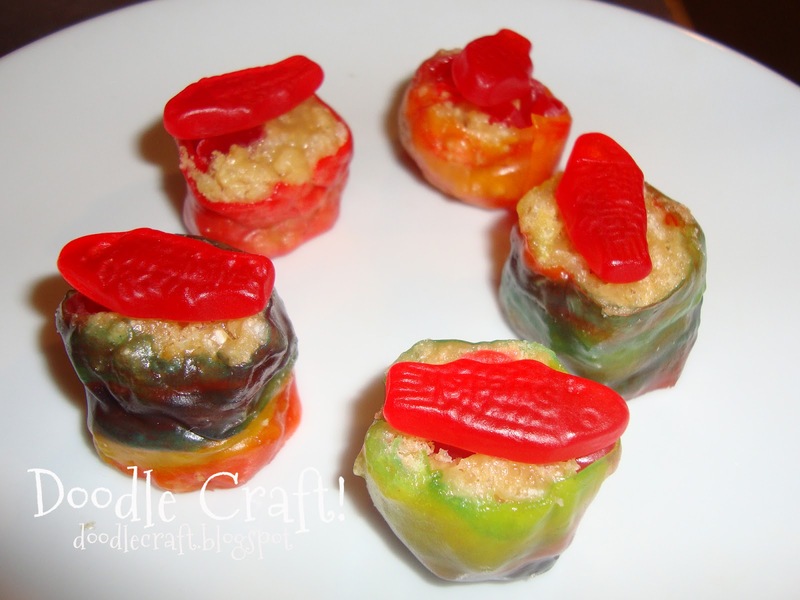 Then, because they look gross...top them off with a fish. Better, still weird, but better.